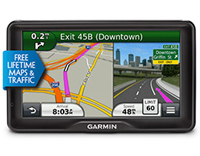 Garmin 8 GB microSD Card with SD Adapter (010-10683-05) | Discount GPS Accessories from mysatnav.ie Ireland's leading GPS & Sat Nav store. 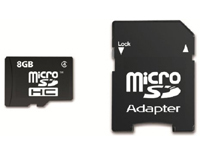 This 8 GB SD/microSD card allows you to expand the storage capacity of your sat-nav. When you come to update the maps on your sat-nav, the map files are now so large that they may not fit on your device, especially if it is an older model purchased 18-months ago or earlier. The only way to get around this is to add additional space with this card. We have tested these cards for compatibility with Garmin sat-navs and these will work for every model of nüvi expect the Garmin nüvi 3xx and 6xx series which will only accept Class 4 cards up to 2GB. Even if you do not need one of these cards immediately, it is always worthwhile having one in your sat-nav as rest assured, you will need one at some stage in the future.